A fresh, fruit filled popsicle that’s 100% natural and super hydrating. These white peach kiwi coconut water pops have been keeping me cool lately. When the days are starting to heat up an ice cold popsicle really hits the spot. They’re so much easier and less involved than making ice cream or sorbet but just as satisfying on a hot day. Plus these particular popsicles are filled with fruit and are hydrating to boot. 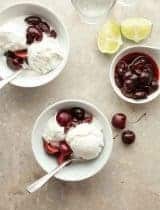 Wonderfully cooling and refreshing they‘re made with just a few simple ingredients so you can easily make a batch whenever the mood (or the heat) strikes. All you need is some fresh fruit, lime juice and coconut water. 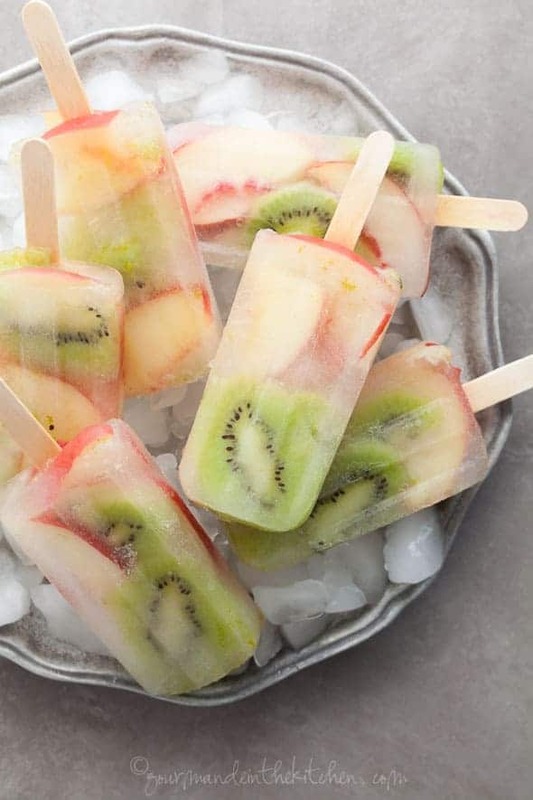 I’ve chosen white peaches and kiwis for these pops for their clean fresh flavors but you can mix and match whatever fruit you have on hand. 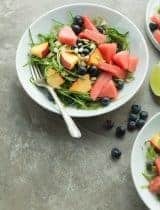 Lime juice adds a touch of invigorating acidity while fresh coconut water adds a hint of sweetness along with a plethora of electrolytes to refresh and rehydrate. That’s it! All that’s left to do is wait for them to freeze and you have yourself a thirst-quenching treat that 100% natural and a great afternoon or post-workout snack. A fresh, fruit filled popsicle that's 100% natural and super hydrating. Whisk together the coconut water, lime juice and lime zest. Arrange some of each fruit in your Popsicle molds. 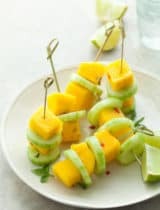 Pour the lime flavored coconut water into each mold to cover the fruit. Cover with lid or foil and place your wooden sticks. Freeze until solid. 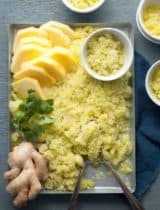 Run mold under warm water briefly to unmold and serve immediately. I love making popsicles. These look so refreshing and delicious. Perfect for summer! These are simply lovely to look at, an I bet they taste great too! As a kid, we ate popsicles all the time. As an adult, I prefer a healthier, more real version like this. Love them! These are the prettiest pops! So healthy and refreshing! 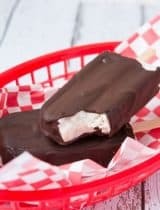 Not only a great post-workout treat, but great after the pool treat for kids to help replenish electrolytes and cool down. Awesome treat. These look wonderful! What a great, refreshing summer treat. I love that they don't have sugar, too. These are beautiful! 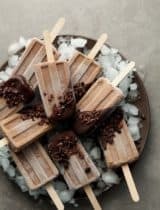 My kids love coconut water popsicles, I'm going to have to make some of these. Pinning. I love these! I never thought of putting slices of fruit in a popsicle! I always thought pureeing it was a requirement. Eye opening! Pinned! What a great look pop! So refreshing for summer! These are stunning, and I love the white peach in them. These look so refreshing. I love white peaches - just finished our first box! These are so fun!! My kids would have a blast making (and eating) these! Gorgeous and I am swept off my feet! What beautiful looking popsicles! Love seeing the fruit pieces in there. 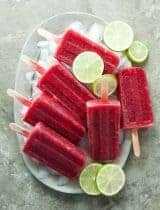 I always buy a can of coconut water at the store for myself to drink, but I will definitely be buying two for some popsciles!! These are hands down STUNNING, too! So beautiful! I love the whole fruit and your popsicle molds. Stunning! These popsicles look like works of art! Seriously, I would have a hard time eating one as I'd be admiring it as it melts! 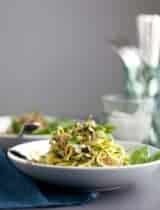 I'd be tempted to add a little white wine to these too! Yum! The whole fruit makes these so pretty! I don't eat kiwi often enough, I love it too. I can't wait to make these. Be still my heart. Those are the most beautiful Popsicles I have ever seen! I love peach and kiwi. These are almost too pretty to eat! Wonderful flavors! Wow! What beautiful, refreshing looking popsicles! How perfect for summer! 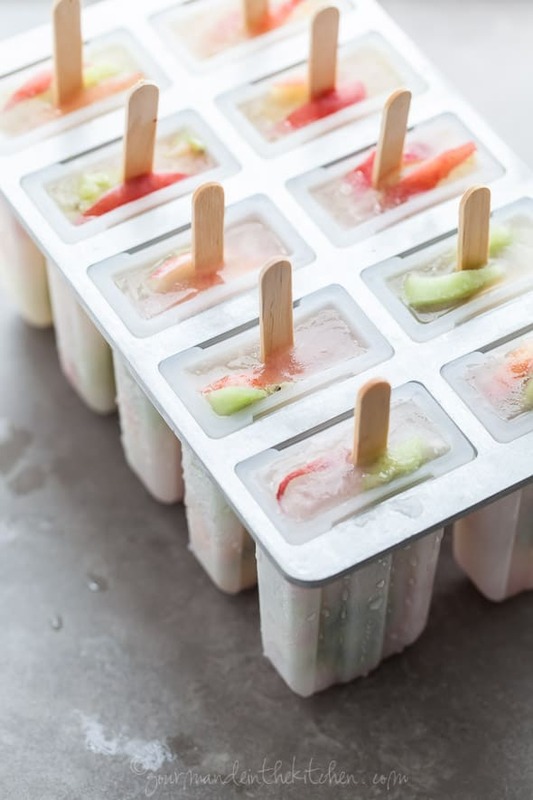 Great idea to use coconut water to make popsicles! They look so refreshing! Not just hydrating, super pretty too and clever way to fight summer heat! Beautiful pops, these look beyond refreshing! 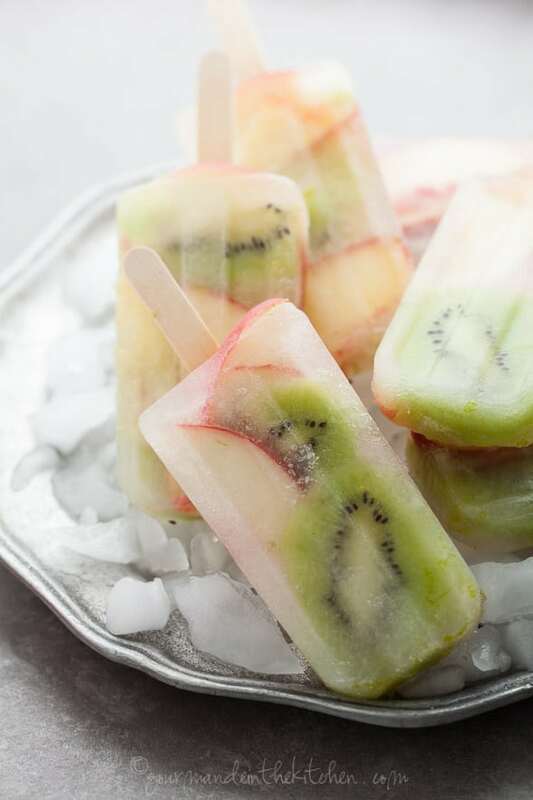 These look so pretty and like the perfect refreshing treat! These might be the most prettiest pops I've ever seen. So dainty and healthy. Great for any day. A nice Whole30 approved treat!